The MA in Contemporary Ethics gives students an understanding of the philosophical concepts of ethics. Through critical engagement with the discipline and literature of ethics you will learn about the link between theoretical perspectives and their applicability in contemporary contexts. The MA in Contemporary Ethics is an Anglia Ruskin University degree created and taught by the Cambridge Theological Federation. 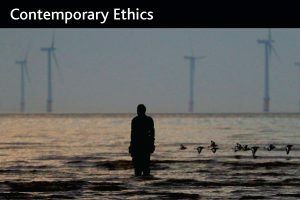 There is further detailed information, including costs and a list of the modules offered, on the MA Ethics page of the Cambridge Theological Federation website. For advice about whether this course might suit you and how to apply complete our Information and Enquiry form.